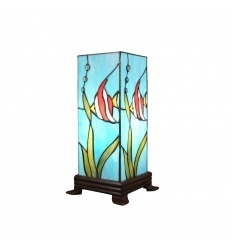 Tiffany light column lamp with stained glass window with blue sea decoration, with a multicolored fish. 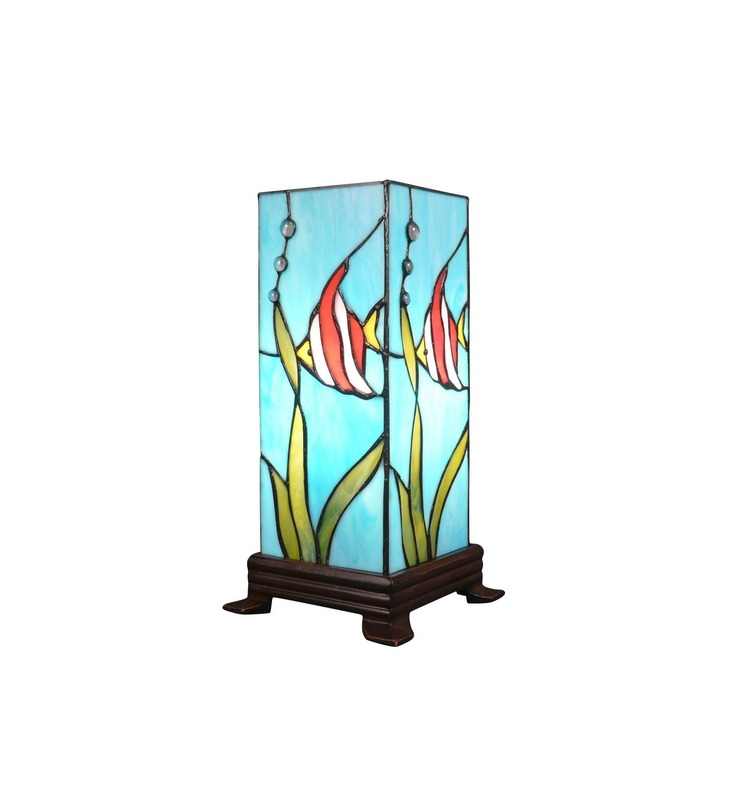 The stained glass of the Tiffany Column Lamp is placed on a metal base with a bronze patina. Height: 34 cm - Width: 17 cm. 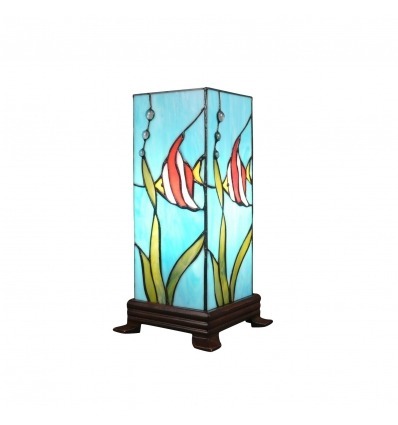 Illuminates with a maximum 60 watt bulb at the E 27 base.